This week I had to refill my pen cups at work (you know, the ones I use to store my "decoy" pens that people tend to walk off with). But that doesn't mean I bought low-quality office supplies. There are plenty of "disposable" pens - and even low-cost fountain pens - that you can leave lying around without giving yourself too much heartburn. There are some other interesting items in here, including some close-out limited editions, etc. Pen Chalet. 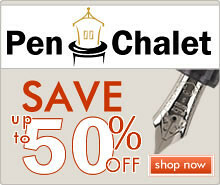 Ron over at Pen Chalet always has great prices on his pens. If you've been waiting for one of the 2015 or 2016 limited or special editions, act quickly, because they're starting to move out of stock. 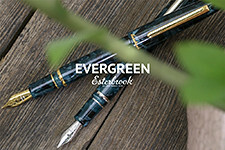 This would include the Sailor Pro Gear Sky Fountain Pen (to be discontinued), the Pelikan M800 Burnt Orange, and the Parker Sonnet "Great Expectations" series. 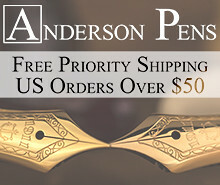 Anderson Pens. 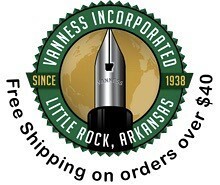 The Andersons currently still have some Sailor Pro Gear Sky's in stock, as well as Sailor's new 1911 Large in White with Gold Trim. 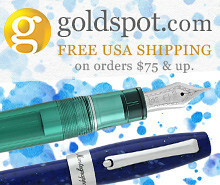 Goldspot Pens. 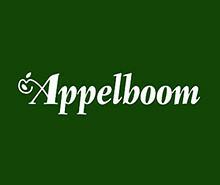 Check out Goldspot's clearance section for some additional closeouts on past limited/special editions, such as the 2015 Pelikan Amethyst S.E., as well as some rare leftover Waterman Phileas Kultur pens! Nemosine Singularity Fountain Pen (via Pen Chalet). Act quick for a discount on this series of inexpensive demonstrator fountain pens. Jinhao Fountain Pens (via Pen Chalet). If you can buy them from a reputable vendor (like Ron) who will stand by the product if you have quality control issues, Jinhao pens can be a great bargain. Aurora Optima Nero Perla (via Goulet Pens). Goulet Pens has the Nero Perla version of the Aurora Optima on sale at under $400. A very nice pen - check out my review here. Pacific & West Disc-bound Wood Notebooks (via Huckberry). I use disc-bound notebook systems at work to keep my loose paper situation under control, and Pacific & West graciously offered to send me one of their notebooks for review. Look for this on the blog soon. 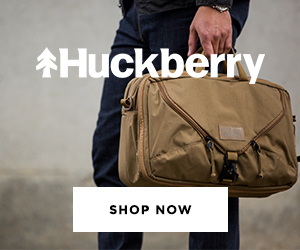 Tactile Turn Slider & Glider (via Huckberry). Tactile Turn's latest replacement for the exceptional Mover/Shaker pens. Building on a trend that started with TT's Gist Fountain Pen, the Slider and Glider both feature unusual materials such as Damascus Steel and Zirconium. Bellroy Leather Notebook Cover (via Huckberry). I have one of Bellroy's Hide & Seek wallets, and it's by far the best wallet I have ever carried. Three years later it still looks amazing. I've heard several people speak glowingly about this hybrid pocket notebook cover/wallet. It features a magnetic closure, two card slots, AND the ability to hold your passport. WASD Keyswitch Tester (via Amazon). If you're considering a mechanical keyboard, but don't know which one to order, a switch tester can save you a LOT of money. This model from WASD also won't break the bank. Platinum Preppy Multicolor Fountain Pens 7-Pack (via Amazon). Pilot Varsity Disposable Fountain Pen 7-Pack (via Amazon). Pilot G2 Limited: now in different colors! (via Amazon). Uni Signo DX 19-Color Set (via Amazon). Papermate Inkjoy 14-Color Set (via Amazon). Uniball Vision Elite 8-Color Assortment, Micro-Point (via Amazon). Vision Elite BLX Micro Point (via Amazon). Diplomat Moderns Magna SoftTouch Fountain Pen (via Massdrop). Diplomat's entry-level pen is available on Massdrop at an excellent price. Italix English Curate Fountain Pen (via Massdrop). A very interesting looking fountain pen from Italix. Their nibs are supposed to be great, but the design hasn't appealed to me in the past. Currently on Kickstarter: Check out the Lattice Cubed 3D Printed Titanium Pen, which is halfway funded with 25 days to go. 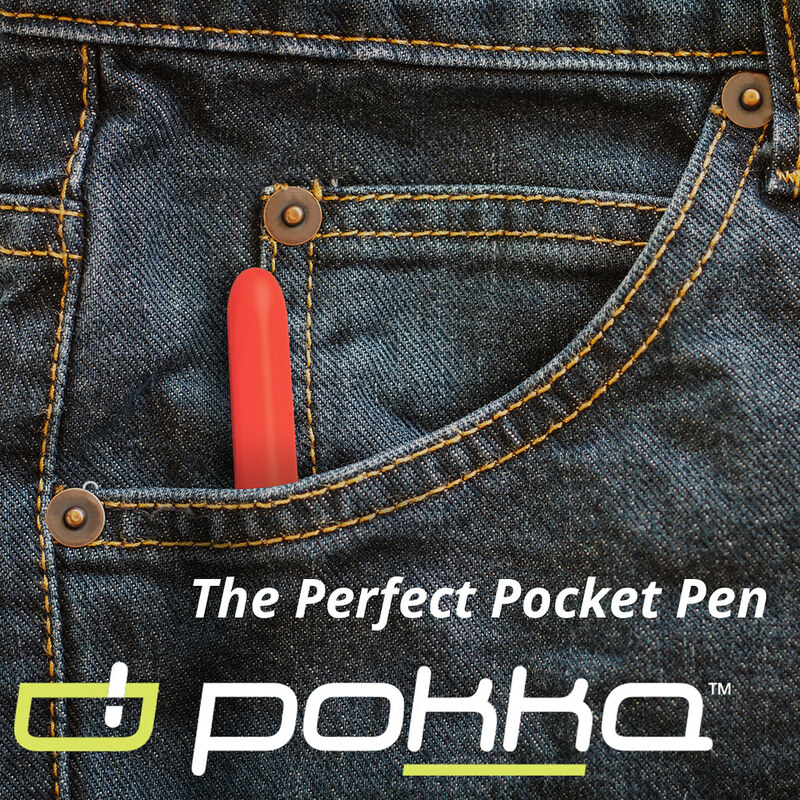 Not an inexpensive pen, but a very unique idea.